You know the weirdest thing about my journey of taming my PCOS and Type 2 diabetes with healthy food? Now I genuinely prefer to eat a big bowl of broccoli than a slice of chocolate cake. I know. It sounds strange to me too. a) Because broccoli from the farmers market served with a tasty sauce, is so so delicious. b) I feel good after eating the broccoli. After the chocolate cake? Not so much. So I’m always on the lookout for new blogs and books produced be people who love vegetables as much as I do. My favourite, favourite blogger who fits the description (and happens to also be a veggie farmer) is the lovely Andrea from Dishing Up the Dirt (DUTD). My copy of The Dishing Up the Dirt Cookbook is well loved. I’ve cooked so many dishes from it. And have used many as a springboard to my own creations. I love that the recipes are simple and packed with veggies. I also love that there’s bacon. And the occasional steak. I also love that Andrea has a deep appreciation for sauces. And includes an ‘ode to sauce’ at the beginning of the book. If you’re looking for a new book to get inspired about cooking with amazing fresh produce, I highly recommend it! Thanks for sharing this book review. I don’t like broccoli because I don’t know how to prepare delicious dishes by it. So can you suggest me a few delicious recipes?? 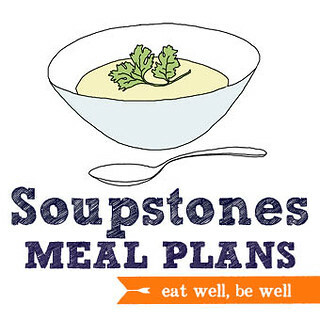 Love this blog about how hard these folks work and STILL have the time and energy to cook amazingly healthy meals!! Good on ya!! My favourite cookbook too! However, also love the simplicity of your recipes and the vegetarian options. Thank you!